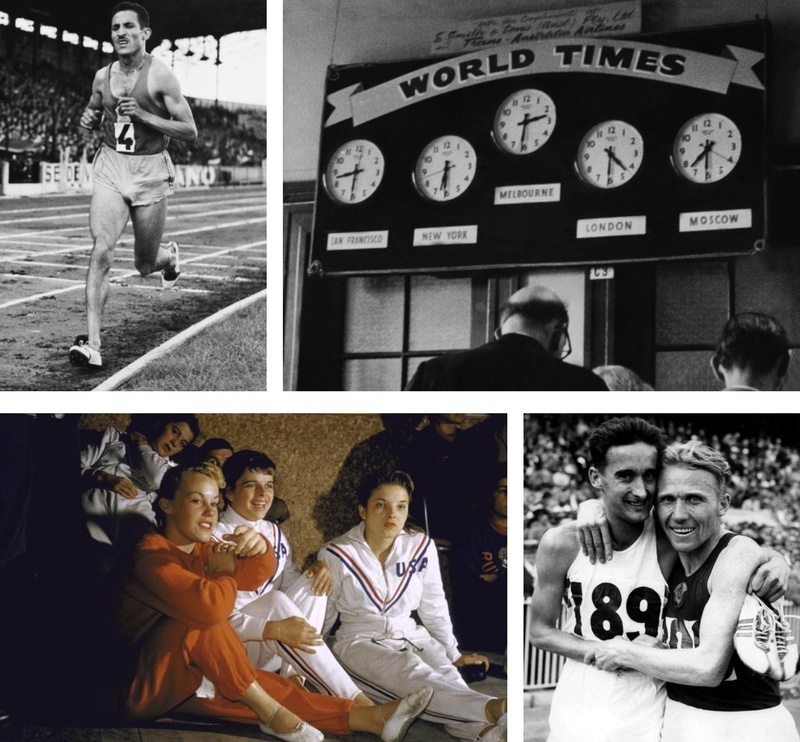 One of the wonderful things about this internet thingy is the number of unseen photos of our sport which pop up from time to time giving people like me something to write about. 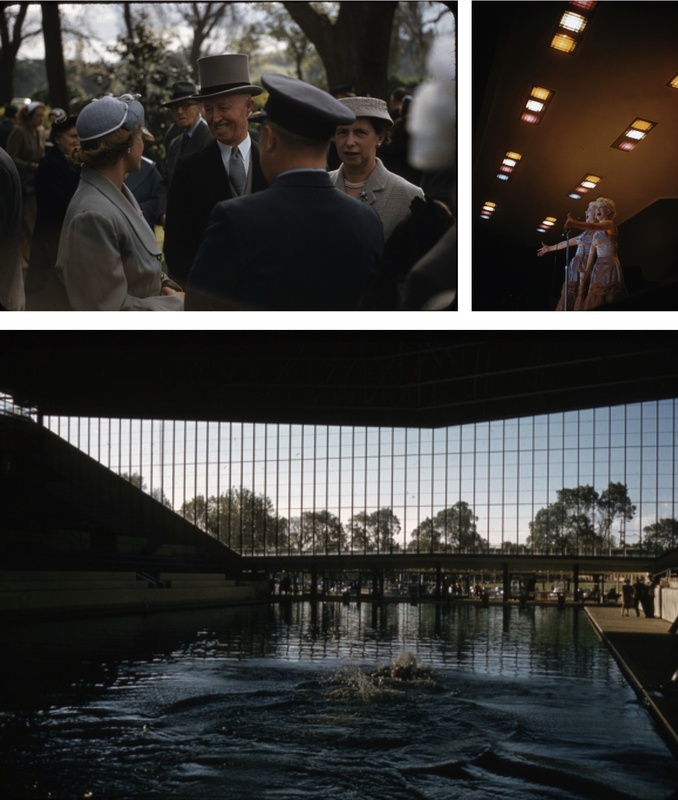 And so it is that Sharaz Jek recently posted photos his father took as a ‘paying punter’ at the Australian Grand Prix Carnival at Albert Park held during the Olympic Games. 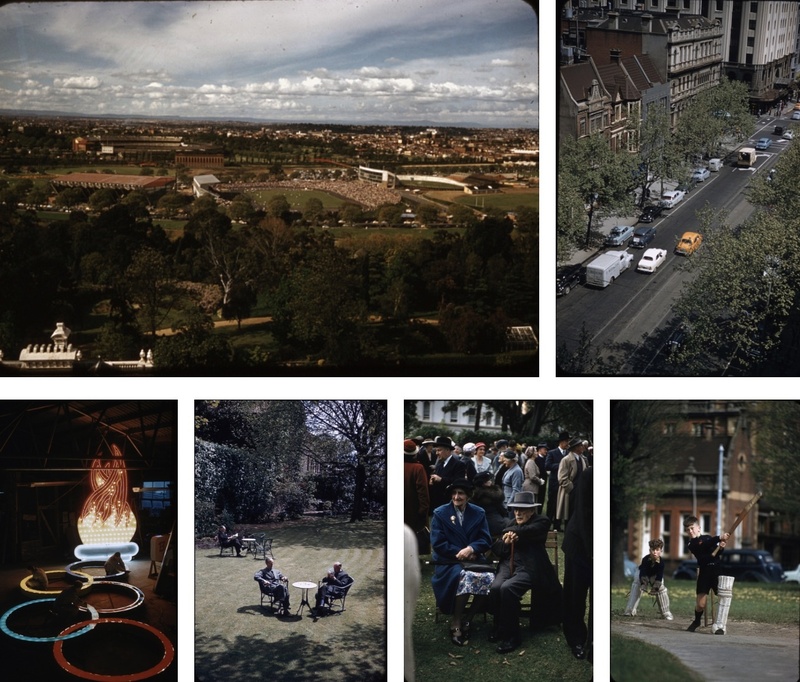 I wasn’t born in 1956 but its fair to say i was more than a twinkle in my parents eyes, so i didn’t attend the mid-fifties Albert Park meetings which older enthusiasts speak so fondly about. 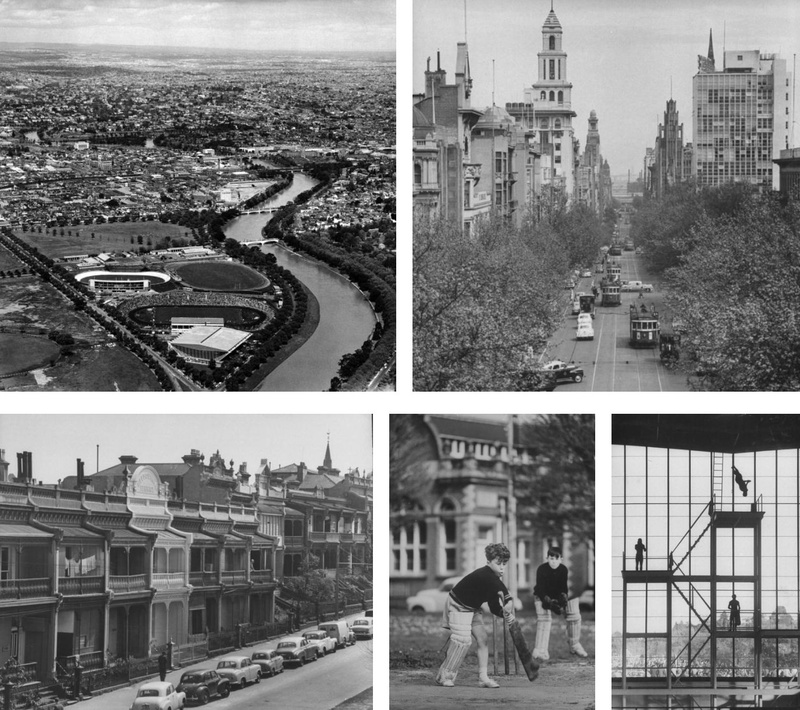 Running around the lake last weekend i reflected on how little Albert Park had changed but also how much Melbourne had, the skyline of the city a short 2 Km away. 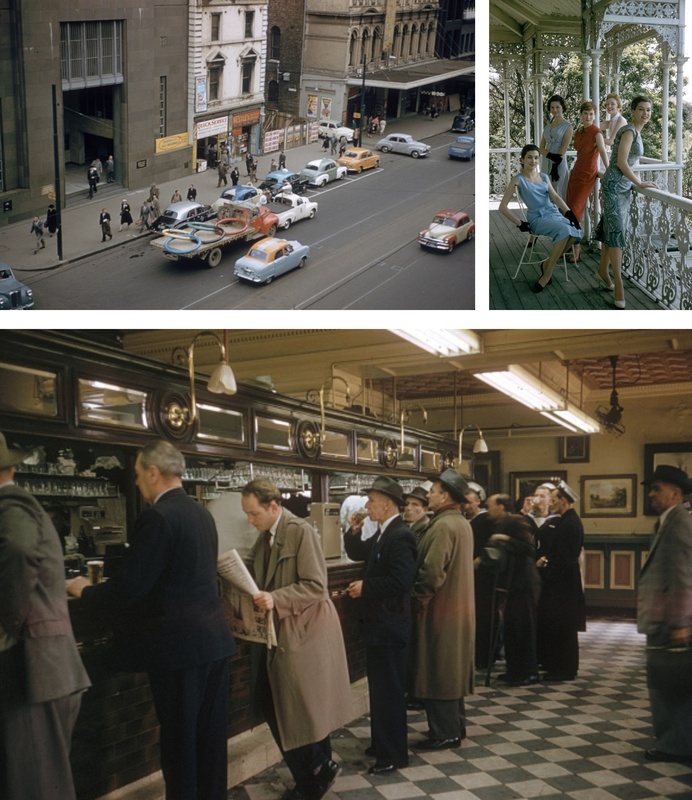 In 1956 Melbourne’s population was circa 1.5 million people, now its 4.7 million, the war ended only a decade before and with it successive Australian Governments established an aggressive migration program which provided and continues to provide us with the wonderful, peaceful mix of people and their cultures which makes this such a special country and city in which to live. Disgraceful offshore detention centres notwithstanding! 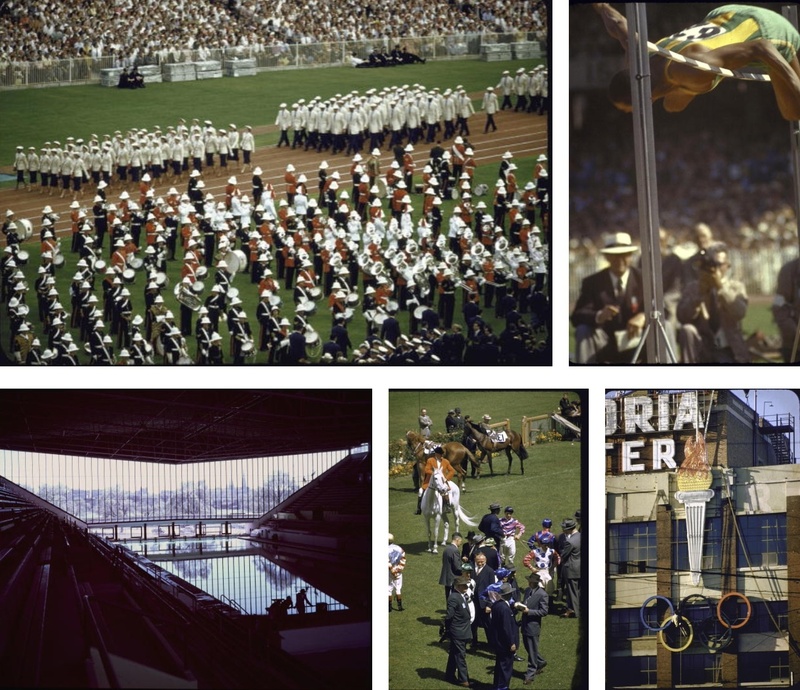 The ’56 Olympic Games, held from 22 November to 8 December was an important part of opening our society to other cultures and equally allowed us to showcase our country, city and capabilities to the world. 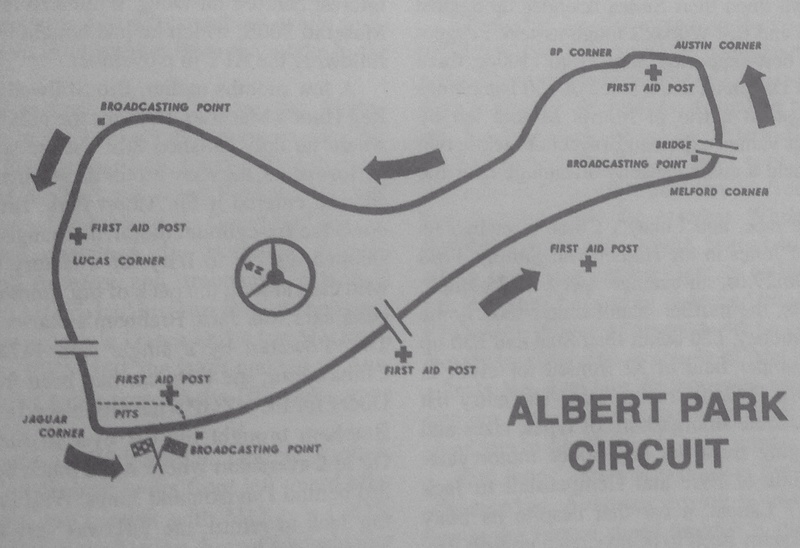 ‘The weekend was the proverbial moment which changed the face of motor racing in this country. Here for the first time we had a current works sports car and F1 team and other leading international drivers in ex-factory cars; their presence prompting the best of the locals to upgrade their machinery, spend even more and charge harder. 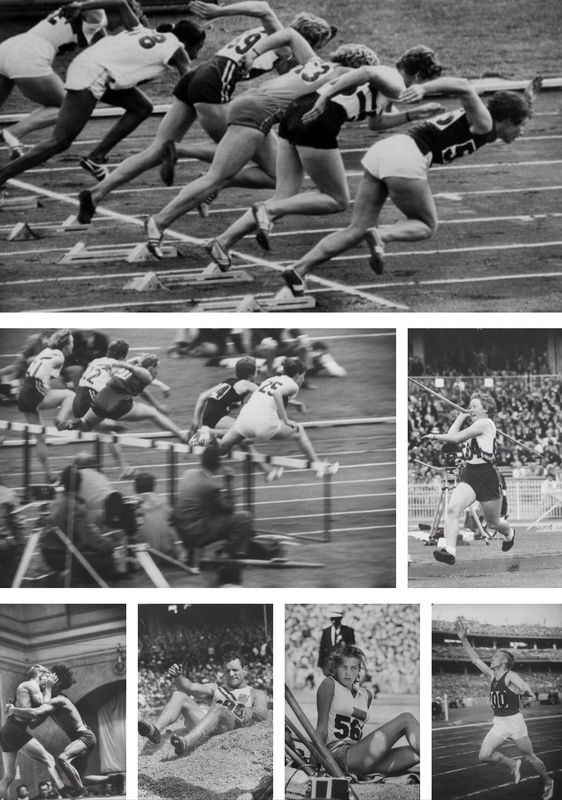 A world class field deserved a world class venue and world class crowd. 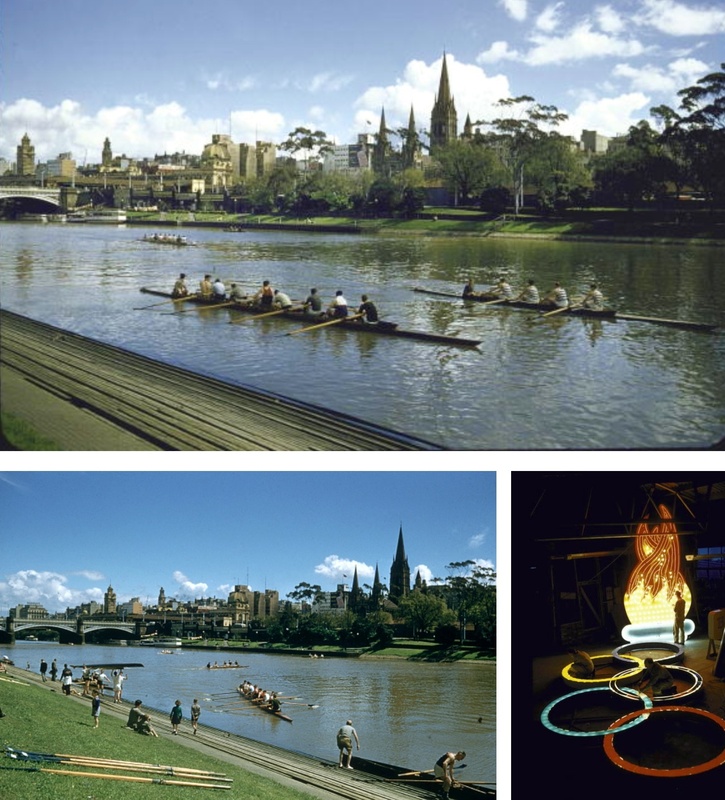 And in the picturesque Albert Park and thousands of international visitors filling Melbourne to overflowing for the first Olympic Games to be held south of the equator, it had just that’. 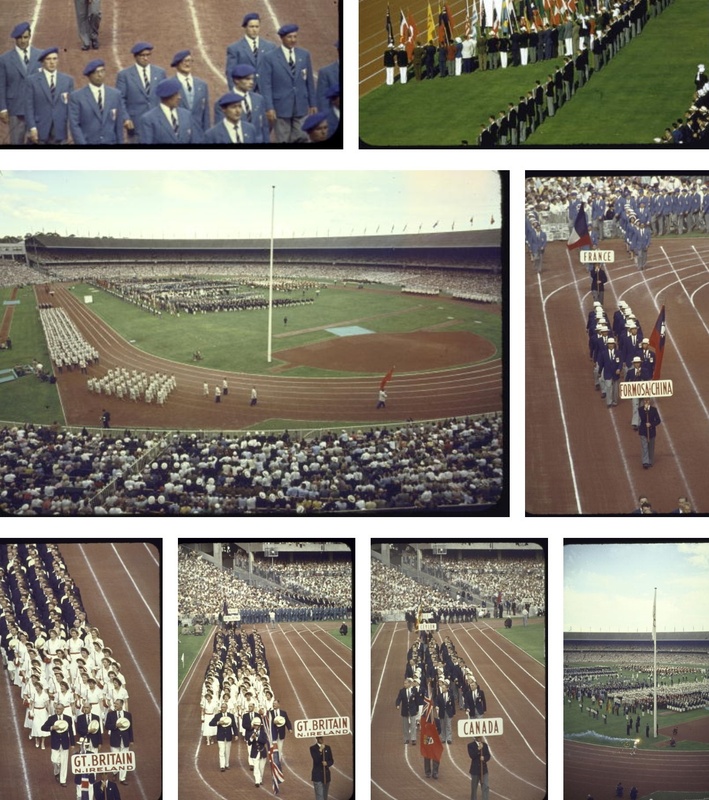 ‘Sultry beauty Gunhild Larking, 20, Sweden’s entry for the high jump pensively awaiting her turn to compete’ is the caption. A post sporting career in modelling or TV awaits d’yer reckon!? 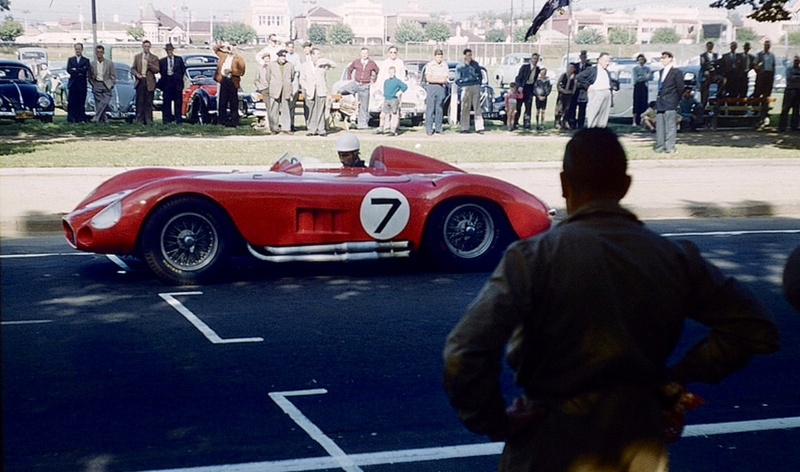 A convoy of Maserati mechanics drove the 250F and 300S, the 5km from Australian International and 250F driver Reg Hunt’s Elsternwick Holden Dealership, where the cars were maintained each day to Albert Park, on the Nepean Highway and St Kilda Road. 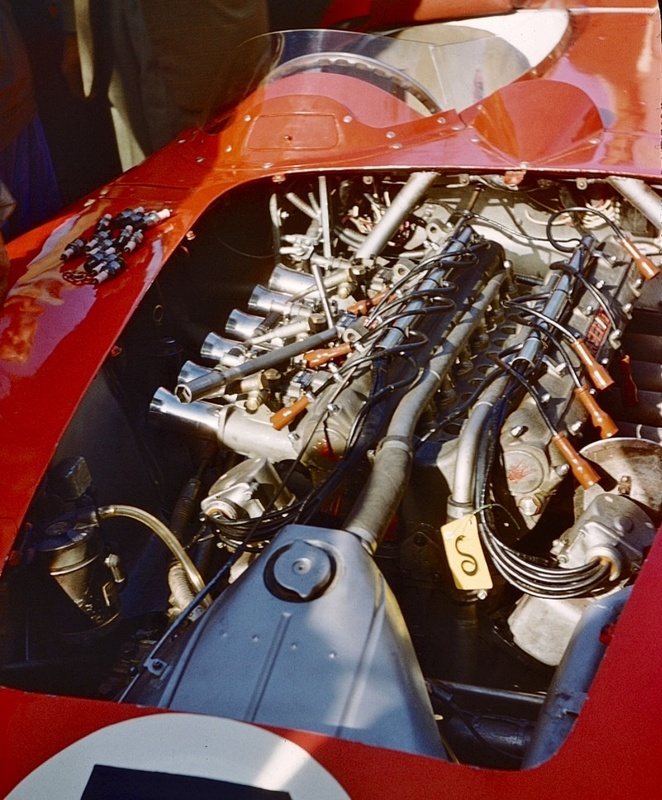 Not too much of a problem then but guaranteed to boil a Maserati 300S sans radiator fan these days! 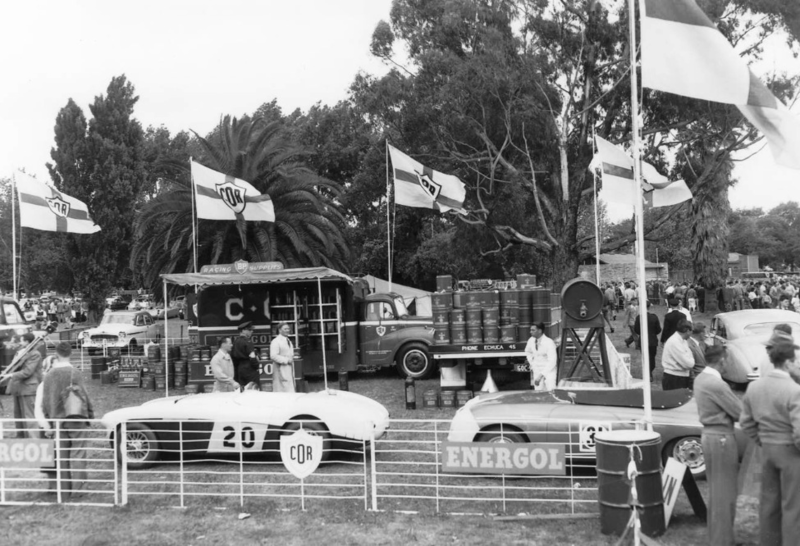 Most of the drivers stayed close by in the ‘Espy’, the Esplanade Hotel in St Kilda, it’s still there if you want a ‘bevvy’ during the AGP carnival and is well known to Australians as the home of the ‘RocKwiz’ music quiz show. 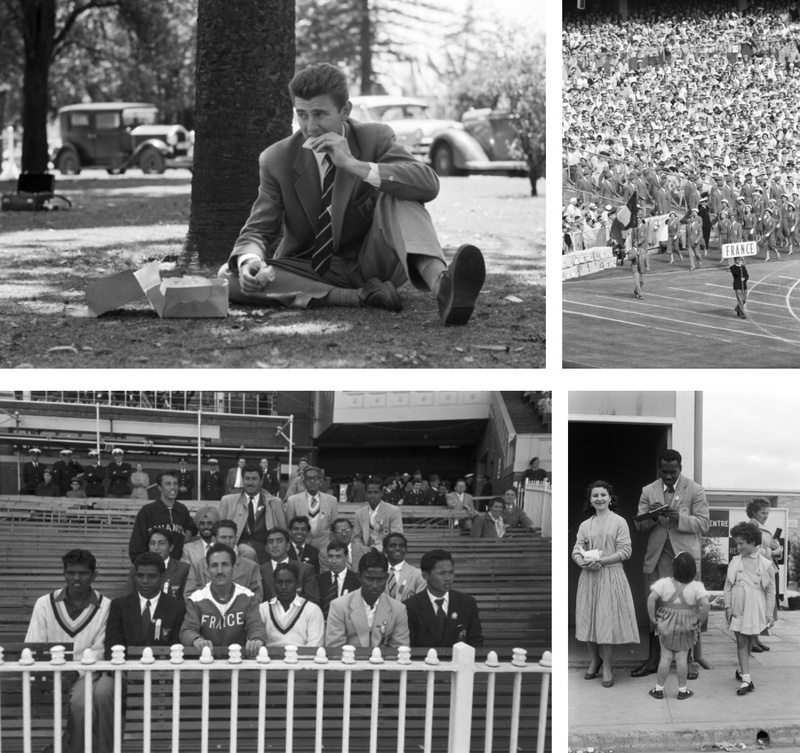 Fitzroy Street St Kilda felt exotic and buzzed with thousands of visitors from all over the world eager to explore the local delights of the bayside suburbs restaurants and bars. 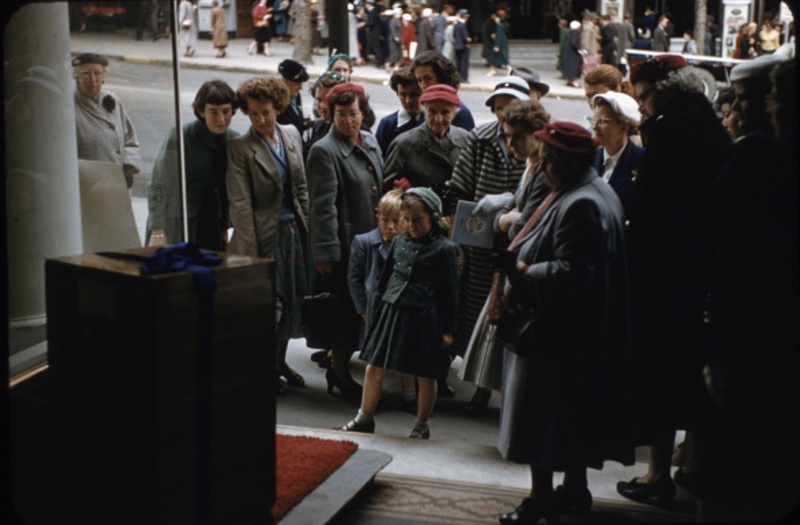 They were full of people including recent European migrants eager to get a touch of home for a few hours at least. The Espy and Tolarno’s were ‘chockers’ and no doubt the proprietors of the areas ‘red light’ precinct did good trade. 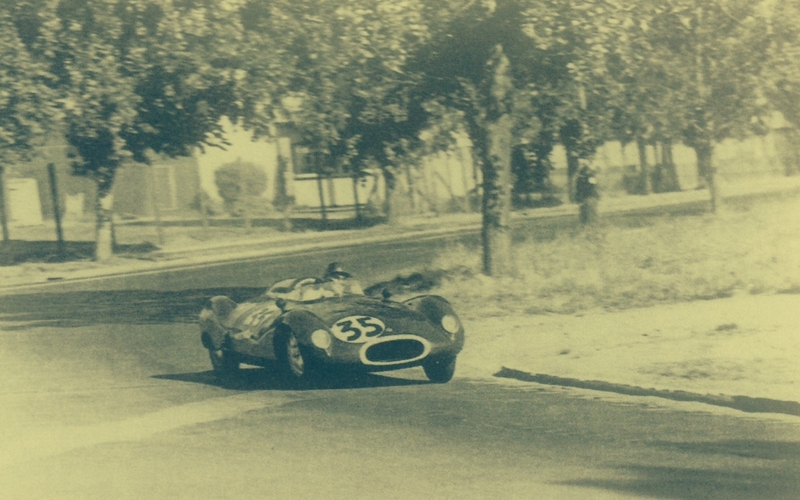 In ’57 the factory 300S’ were campaigned by Moss, Behra and Piero Taruffi taking wins at Silverstone, Nassau, the Nurburgring, Rouen and Buenos Aires; the works allocated # 3055 to Behra and # 3059, the ‘featured car’ here to Moss. 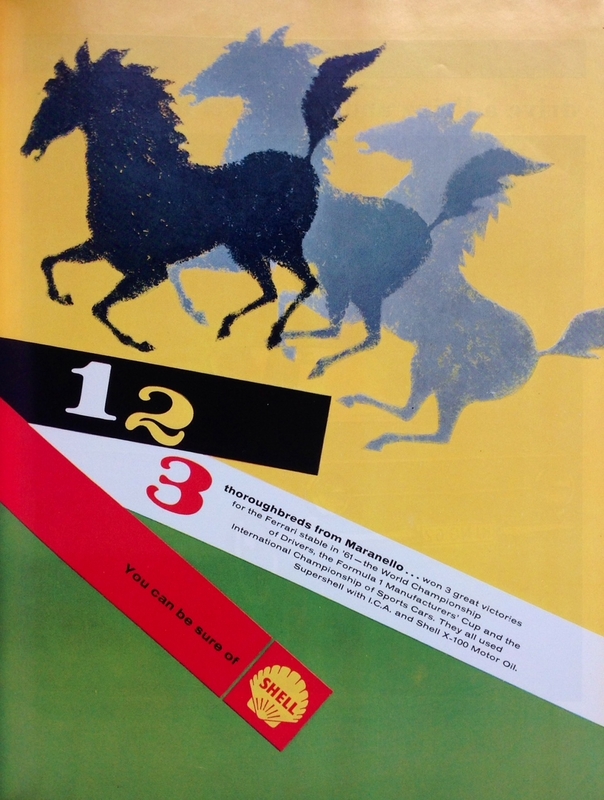 Stirling was in sparkling form having won the Venezuelan Grand Prix in Caracas a fortnight before arriving in Melbourne, Behra also contested the race. 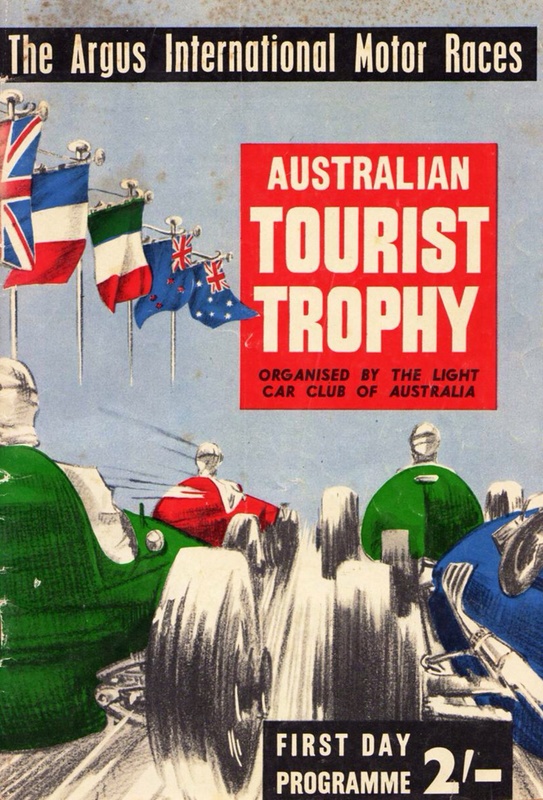 There was a strong entry for the ATT of around 36 cars; Peter Whitehead returned to Australia hoping to repeat the success of his 1938 tour which culminated in an ERA Bathurst Australian Grand Prix win for him. 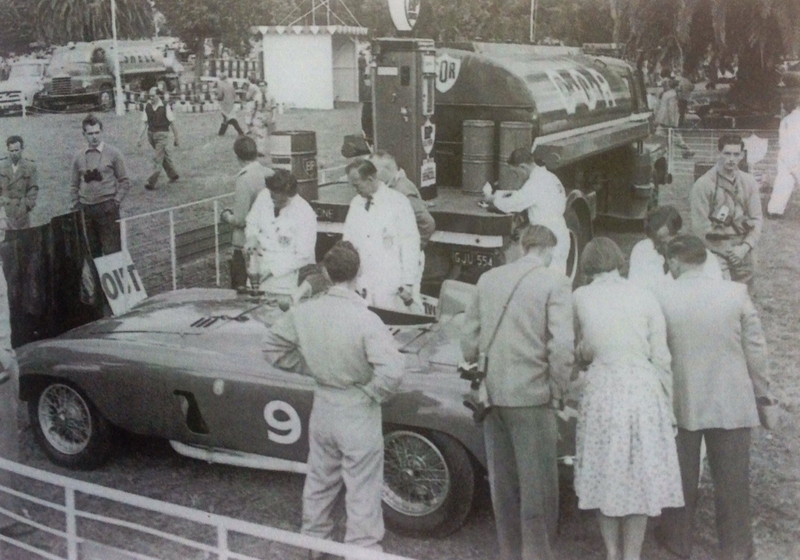 His entry in the ATT was a Ferrari Monza, similar cars were entered by Brit Peter Wharton and local motor dealer Stan Coffey. 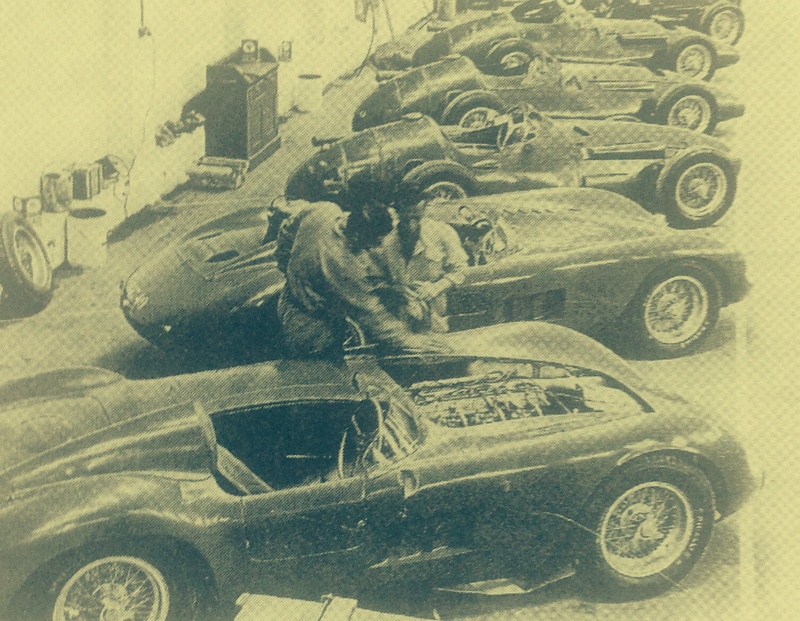 The Whitehead and Wharton Ferrari’s were garaged at AP Hollins in Malvern where Lex Davison’s mechanic/engineer Alan Ashton, well familiar with 4 cylinder Ferrari’s (Davison raced the ex-Ascari Tipo 500/625) could keep a close eye on them. 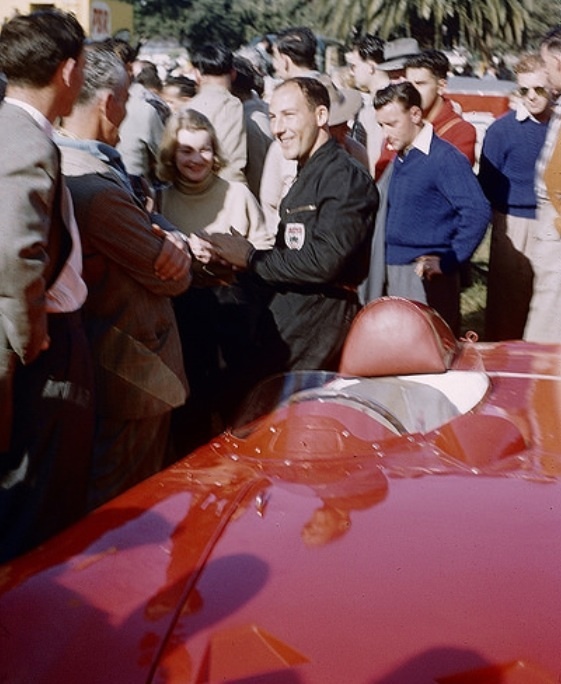 Lex, already the winner of one of his four AGP’s in 1954, entered his HWM Jaguar, his Ferrari was raced in the AGP won by Moss’ 250F the following weekend. 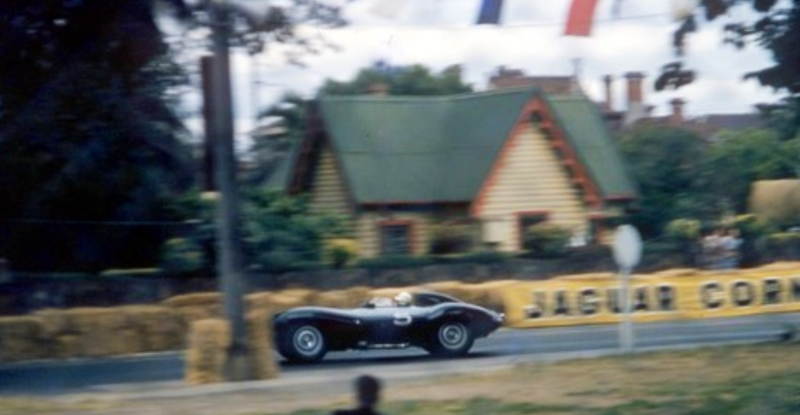 Jaguar D Types were entered for Kew motor dealer and later multiple Australian Gold Star champion Bib Stillwell and Queensland’s Bill Pitt driving the Mrs Anderson owned car. 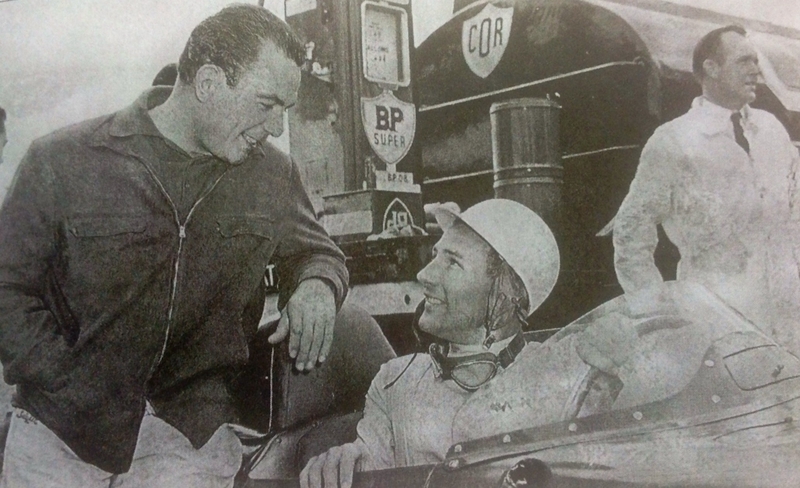 Jack Brabham returned from Europe where he was establishing a strong reputation to drive a Cooper T39 ‘Bobtail’ Climax with future Gold Star Champion Bill Patterson, another Melbourne, Ringwood, Ford dealer in a similar car. 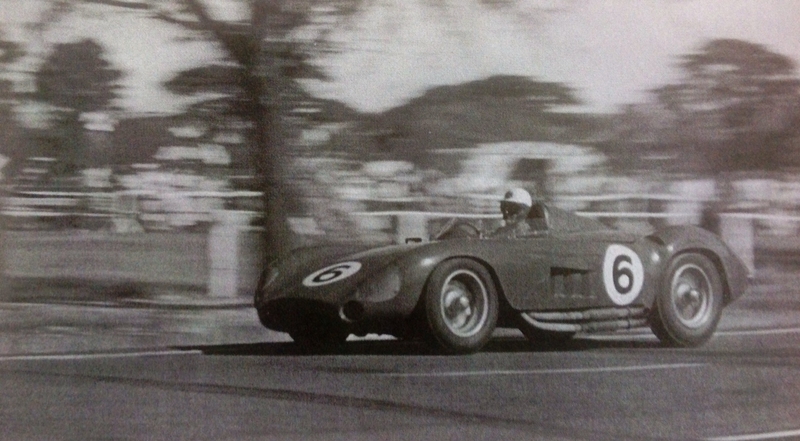 Veteran Tom Sulman raced his ‘Kangaroo Stable’ Aston Martin DB3S, the quicker entries rounded out by Austin Healey 100S’ for multiple AGP winner Doug Whiteford and Ron Phillips. 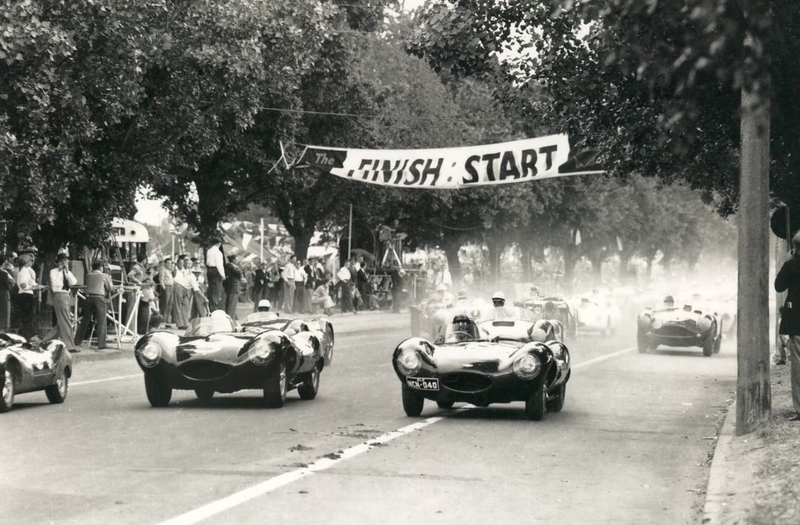 A fantastic crowd of 150,000 people gathered to watch the days racing which was marred by the critical injury and subsequent death of Peter Catlin in the first race of the day after he lost control of his Bugatti at Melford corner. 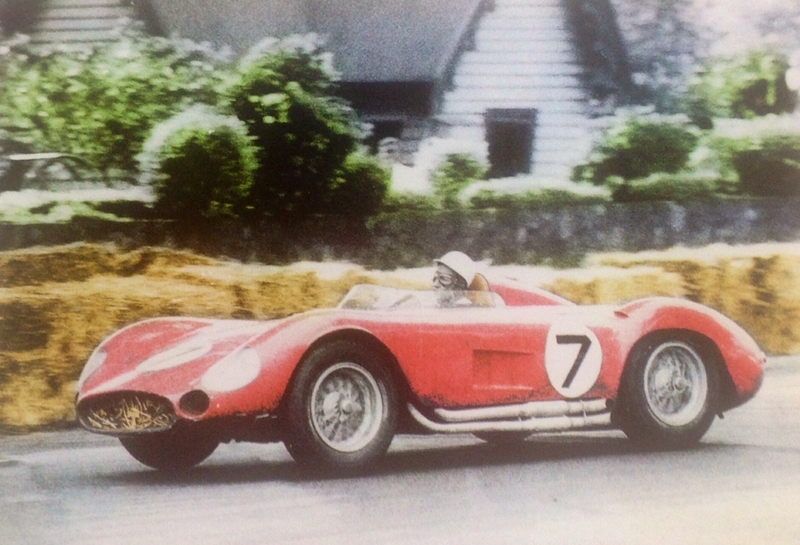 This dominated the tabloids coverage of the race but ‘The Argus’ noted Moss’ lap record of 1:55.8 ‘set in a sportscar, the record previously held by a racing car’ and ‘one of the finest exhibitions of race driving seen in Melbourne’. 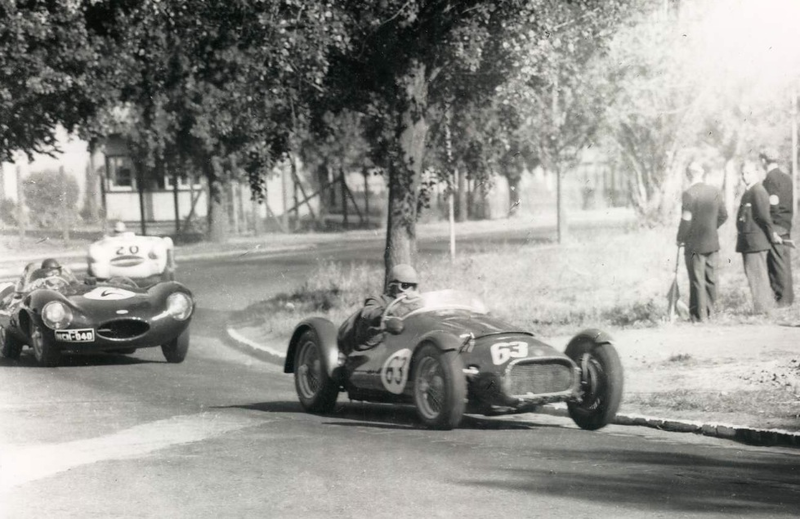 To the surprise of many Behra put his car on pole and lead from the start of the 100 mile race with Patterson flipping his Cooper at Melford Corner without too much damage to him or the car on the first lap. Behra lead the other 35 competitors at the end of lap 1 from Moss, Stillwell’s D Type, the two Monza’s of Wharton and Whitehead, Brabham’s Cooper T39, Bill Pitt’s D type and Paul England’s beautifully designed Ausca. 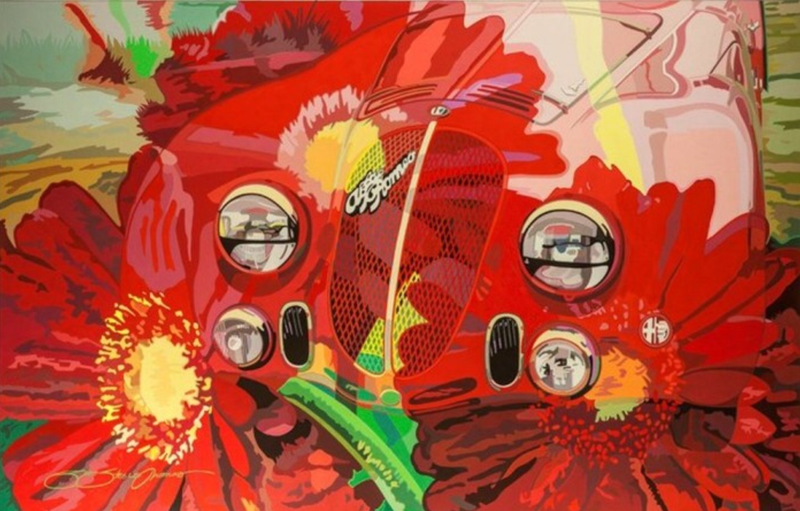 The car was built by England in his spare time at Repco, was powered by the first Holden/Repco Hi-Power cylinder head engine. On lap 2 Moss gave his French teammate a blast on his Masers ‘Fiamms’ at Jaguar Corner to let him through, and an even bigger one when he did so, team orders not new in motor racing! At the front Wharton and Brabham slipped past Stillwell with Bill Pitt getting progressively quicker in his XKD and closer to the shapely tail of Whitehead’s Monza. 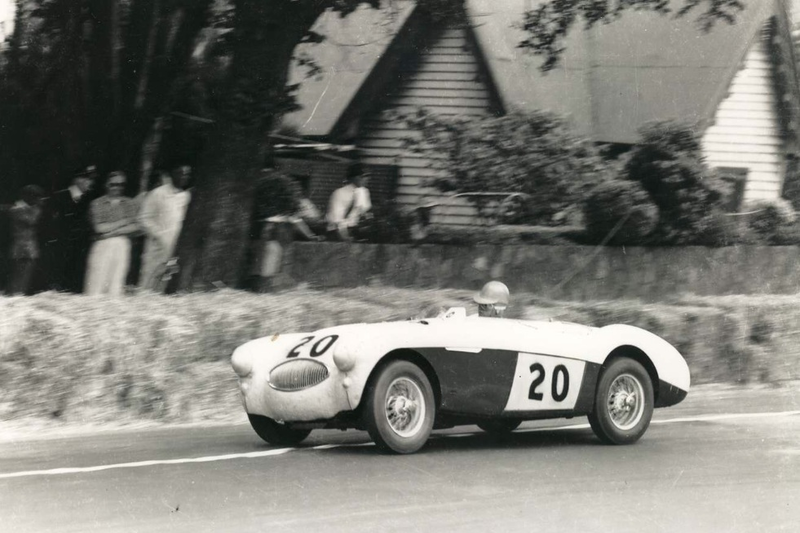 Moss had a lead of 20 seconds from Behra, Stillwell spun giving Pitt ‘a sniff’ at him as Moss set fastest lap on the 27th tour and passing lots of slower traffic in the process. 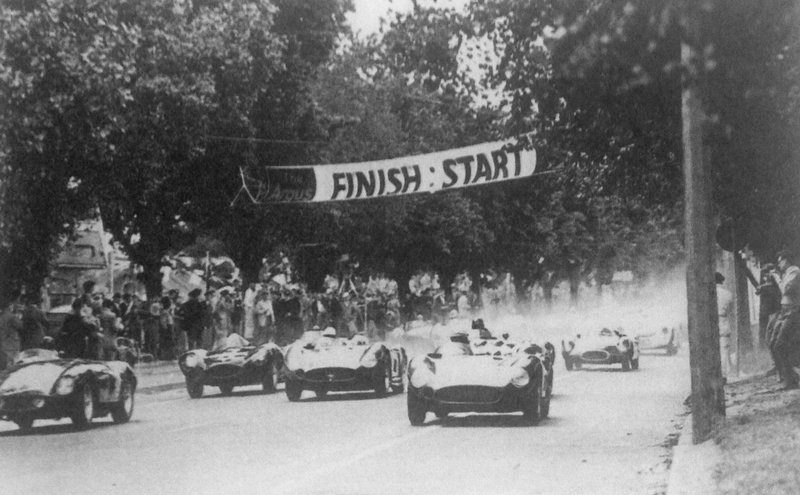 By the race’s end only Jean Behra was on the same lap as Moss, the Brit took the flag from Behra, Wharton, Pitt a great 4th and first local home, Stillwell, Whitehead, Lex Davison’s HWM Jaguar and Kiwi Ross Jenson in an Austin Healey 100S and the rest. Posted: January 25, 2016 in Fotos, Who,What,Where & When...? 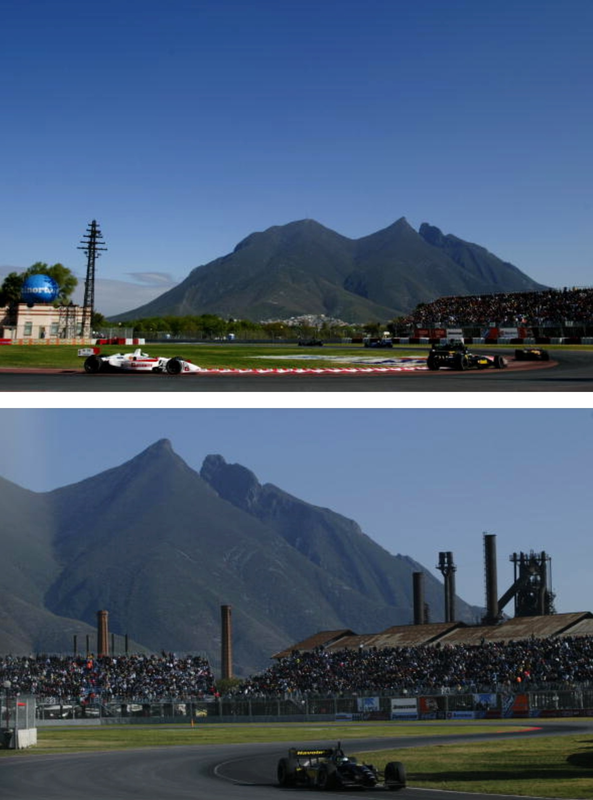 Such a picturesque location, the circuit used for this event between 2001 and 2006 was located at Fundidora Park, Monterrey the capital and largest city in the state of Nuevo León in the foothills of the Sierre Madre Oriental mountains, Mexico. The old buildings in shot are those of a disused steel mill which is both a nod to the past and indicator of the city as a current industrial centre. 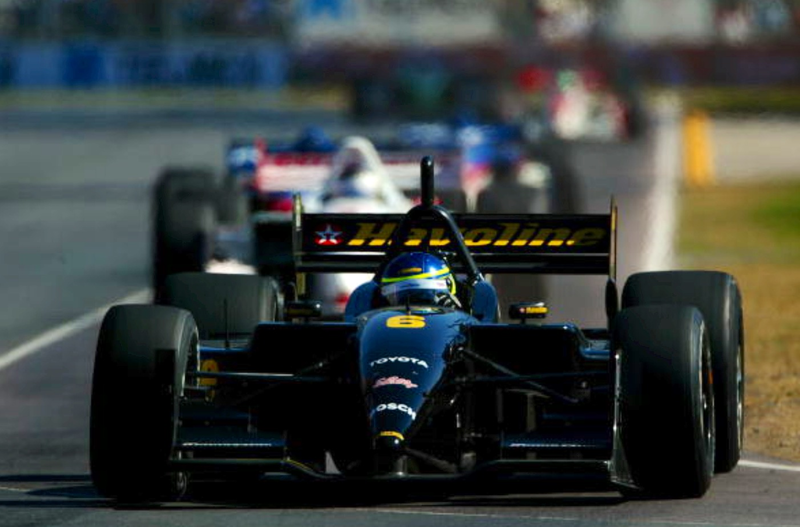 2002 was ‘the start’ of the demise of CART, Penske Racing defected to the rival Indy Racing League at the end of 2001, starting a trend the net result of which was to weaken single seater racing in the US. 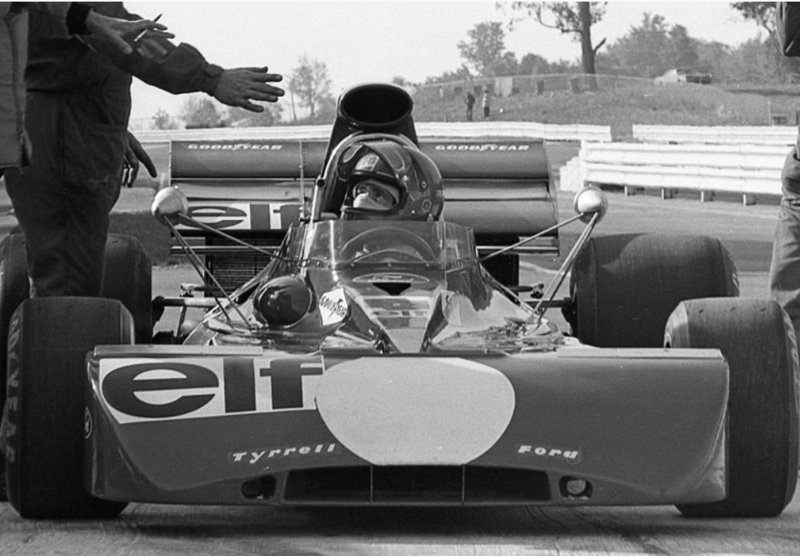 A great shame as CART to me at the time was as interesting and exciting a category as F1 if not superior in its variety of circuits, circuit type (road, circuit, short and long speedways), chassis and engines. A story for another time. The engine regs continued to mandate a 2.65 litre, single turbo-charged V8 for 2002, squabbling over the future engine specifications one of a myriad of issues causing the ‘stampede’ of teams and engine manufacturers from CART. 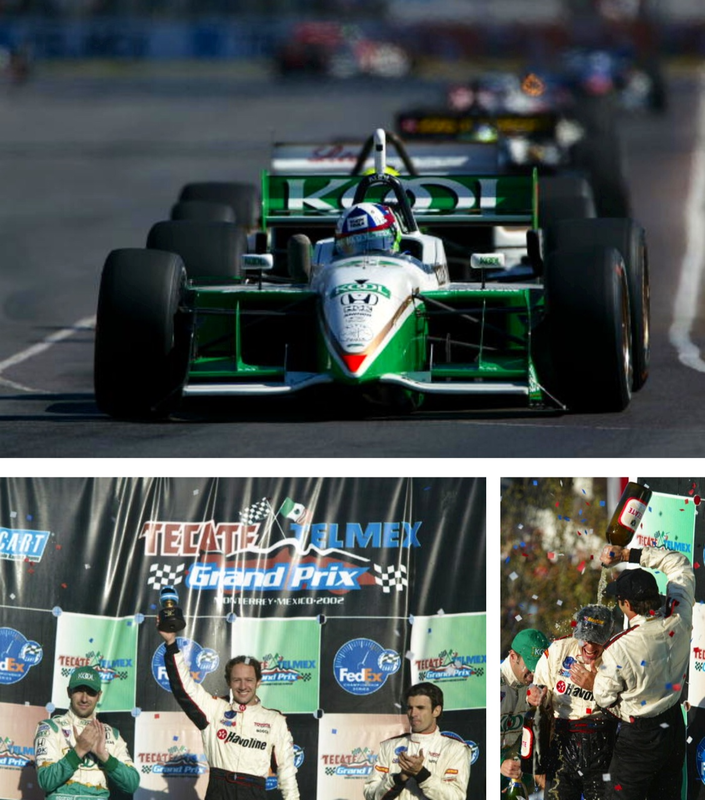 The 2002 CART championship was won by Christiano da Matta in a factory Newman/Haas Lola B2/00 Toyota, he also won this race. 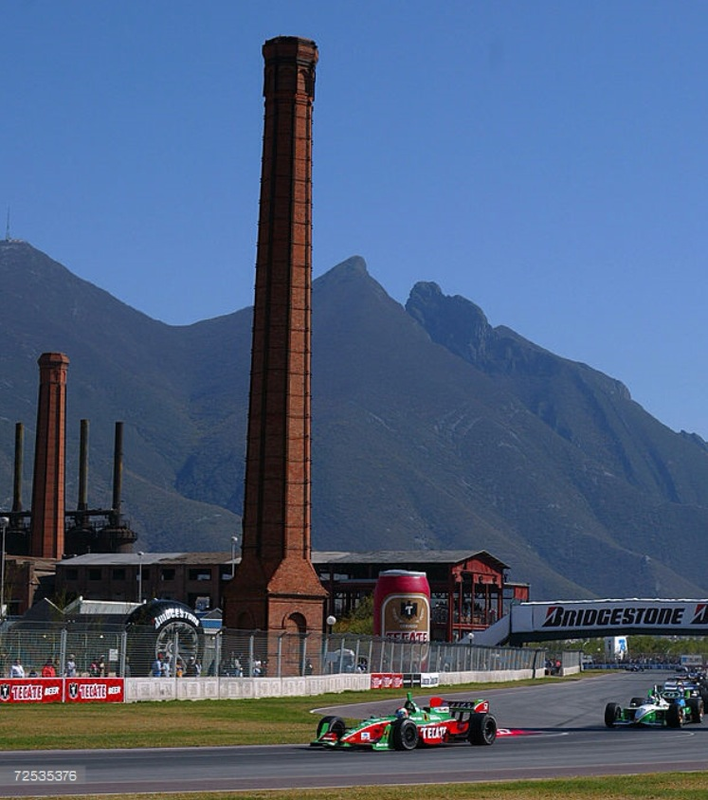 Fernandez finished 13th, Dario Franchitti was 2nd in a Reynard 02i Honda and Christan Fittipaldi 3rd in the other Newman/Haas Lola B2/00 Toyota. Posted: January 23, 2016 in Obscurities, Who,What,Where & When...? 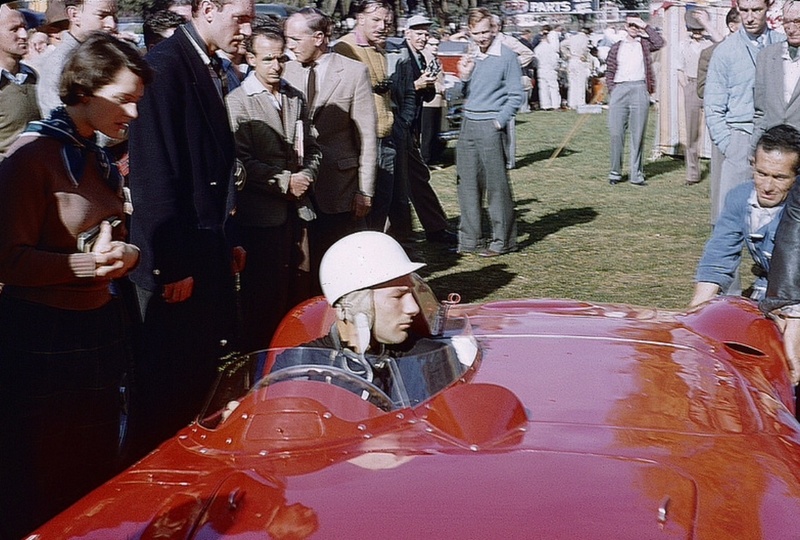 This wonderful Grand Prix car had to ‘sing for its supper’ in Australia, events were few and far between in the early post-war years. 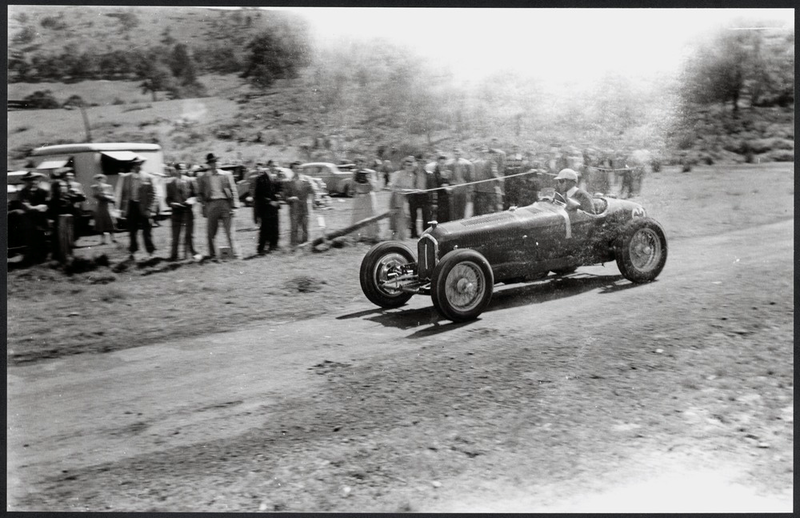 Davison was a keen competitor who raced his cars far and wide in trials, rallies, circuit races and hillclimbs like this one at the ‘Christmas Hills’ in Melbourne’s outer east. 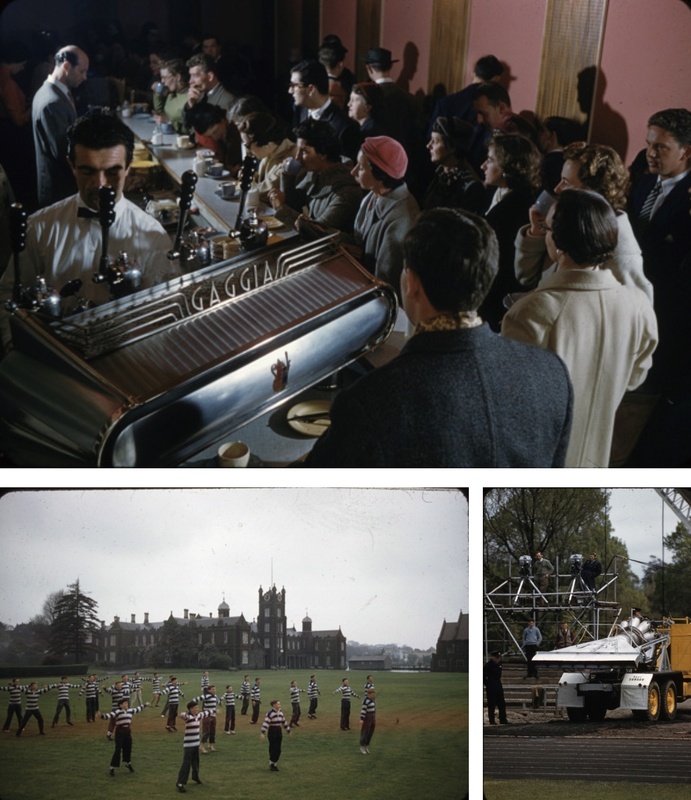 The venue is still used by the MG Car Club, perhaps one of their historians can help date the shot. At last really! 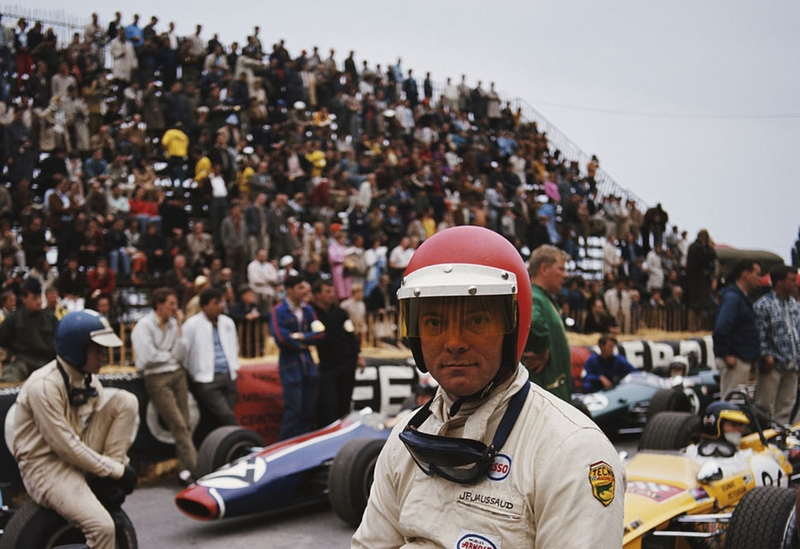 He had been thrashing around in F3 since 1967; he was 5th in the ’67 French Championship won by Henri Pescarolo, 6th in the ’68 title won by Francois Cevert and 4th in ’69 when Francois Mazet won. 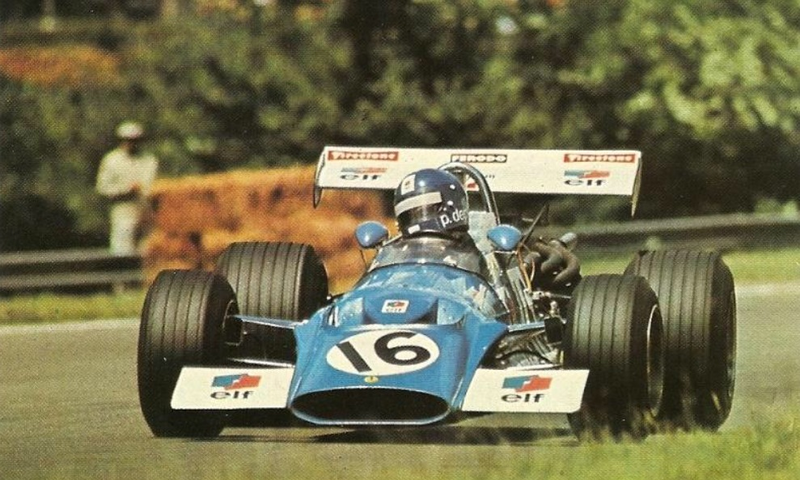 In 1970 Depailler did some F2 events in a Pygmee and Tecno and then stepped back to F3 in 1971 taking the French title from Jean-Pierre Jabouille also Alpine A360 mounted. 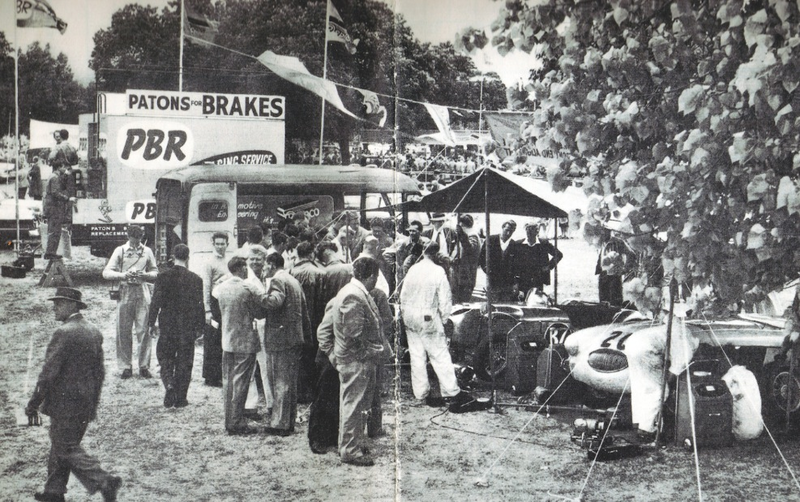 Just look at that roll call of French drivers at the time fuelled by a mix of the Volant Shell drivers program, Elf, Matra funding and talent! The F3 event pictured at the articles outset is a team one ‘The European F3 Cup’ held at Thruxton won by a French Team comprising Pierre-Francois Rousselot, Jacques Coulon and Jean-Louis Lafosse. 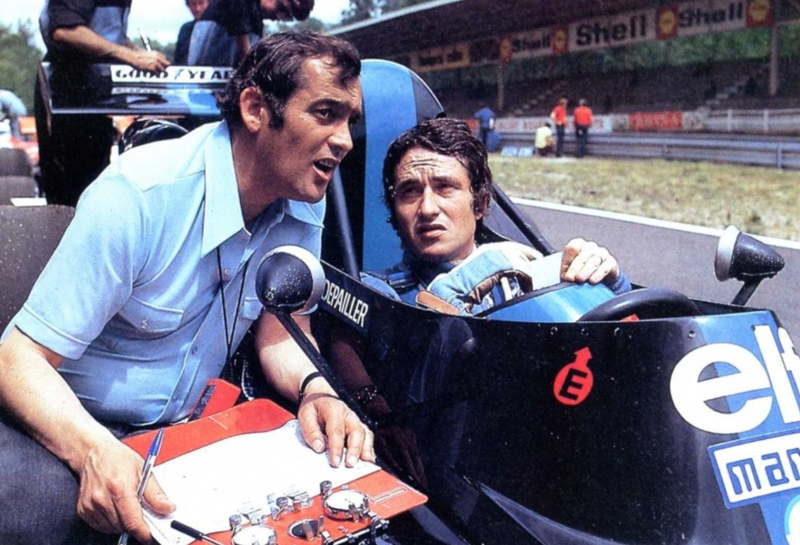 Depailler was in the second placed team along with Jean-Pierre Jabouille. 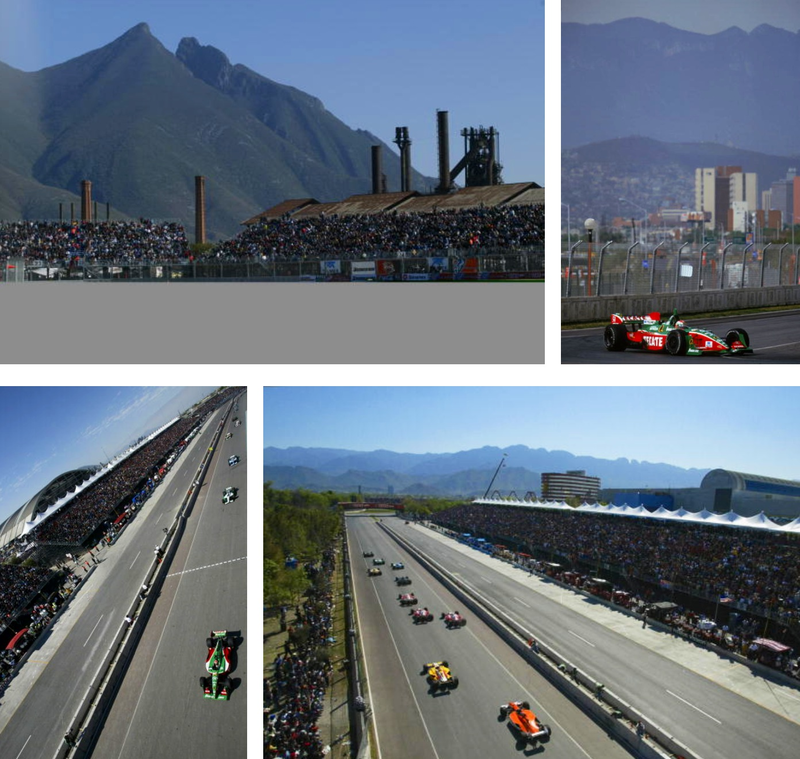 Other future F1 drivers contesting the event representing their respective countries included Alan Jones, Vern Schuppan, James Hunt, Roger Williamson, Jochen Mass and Conny Andersson. 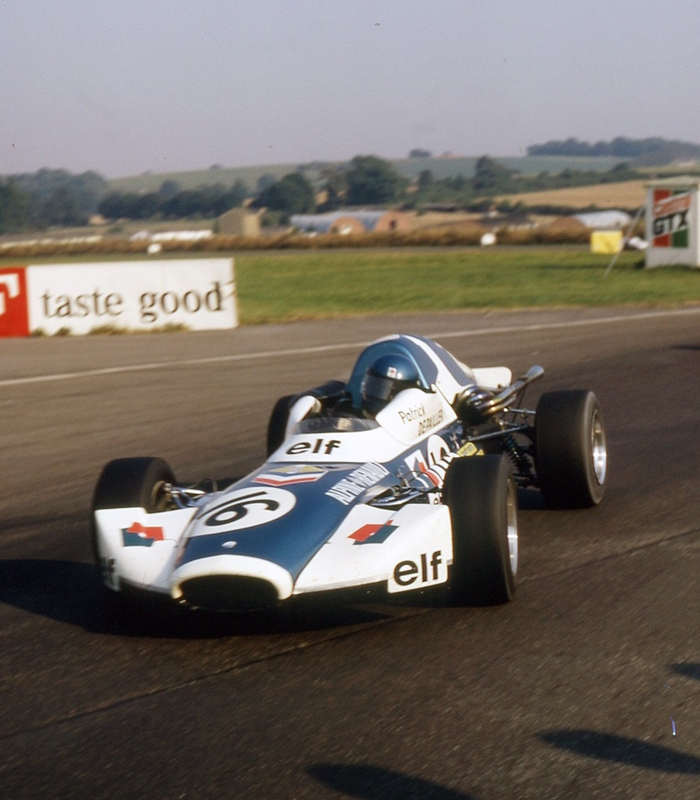 The individual finishing order of the talent filled Thruxton race was Rousselot in a Brabham BT35 Ford from Depailler with Brit Barrie Maskell third in a Chevron B18 Ford. I tripped over the shot of PD researching an article on Dave Walker, an F3 contemporary of Patricks who took a similar length of time to break free from the F3 ruck, what a tough school of talent it then was. And has always been I guess. Walker perhaps peaked in F3, noting the twice badly broken arm which impacted him from ’73 whereas perhaps PD never really peaked, he improved as time went on right until that fateful day at Hockenheim in 1981? James Hunt was another who was ‘thereabouts’ in F3 and peaked in F1. Conversely Jan Magnussen an example of unfulfilled F3 promise in F1 from a more recent era. 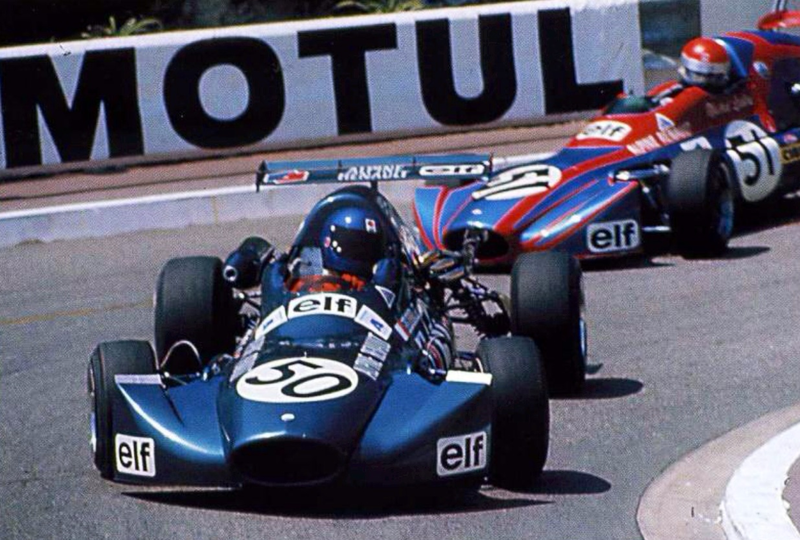 In 1972 Depailler contested the European F2 Championship finishing 3rd in a March 722 Ford, winning the Enna round. 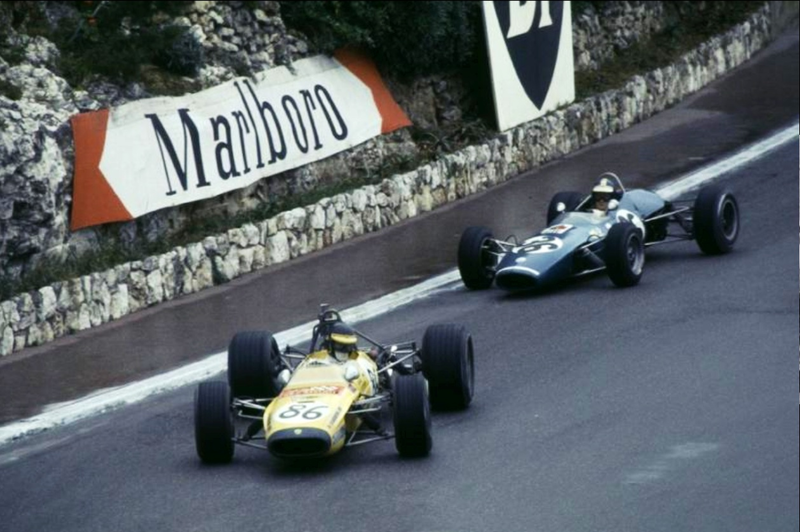 Mike Hailwood won that year in a Surtees TS10 Ford…but not completely done with F3 stepped back into an Alpine and won the Monaco F3 GP, the F3 race which matters beyond all others. 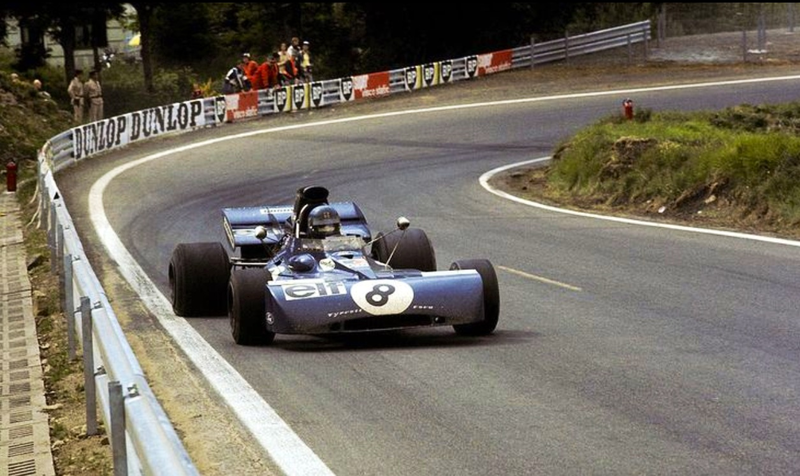 He also made his F1 debut with Tyrrell in the French Grand Prix at Clermont Ferrand in July. 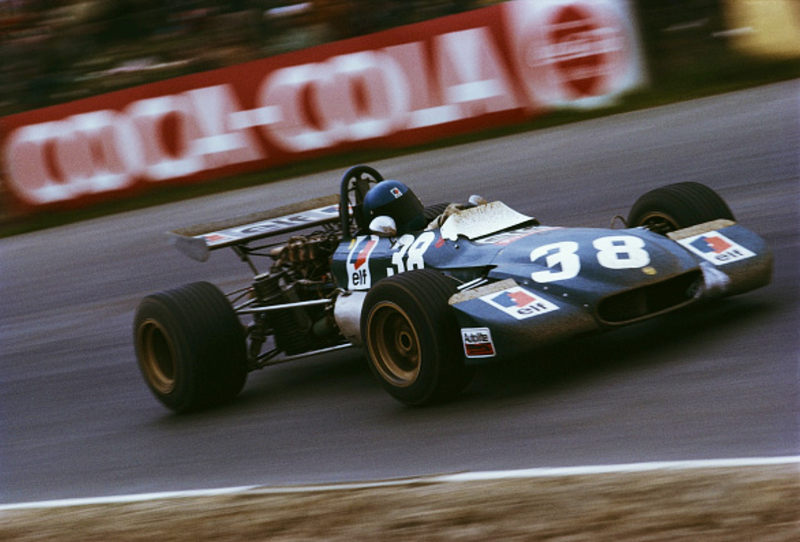 He qualified the Tyrrell 004 16th of 24 starters and was non-classified with mechanical problems. It was a strong debut with Patrick invited to drive a third car for Tyrrell again at the season ending US GP at Watkins Glen, he finished 7th having qualified 11th with teammates Jackie Stewart and Francois Cevert 1st and 2nd in a great day for the team, the Tyrrell regulars in the later 005/006 chassis. 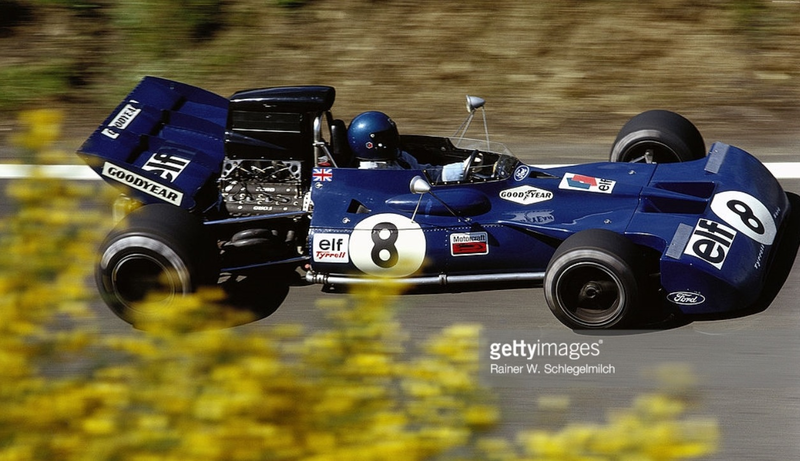 Patrick stepped up to F1 full time in 1974 together with Jody Scheckter joining Tyrrell taking the seats vacated by Jackie Stewart’s retirement and Francois Cevert’s sad death at Watkins Glen in late 1973. 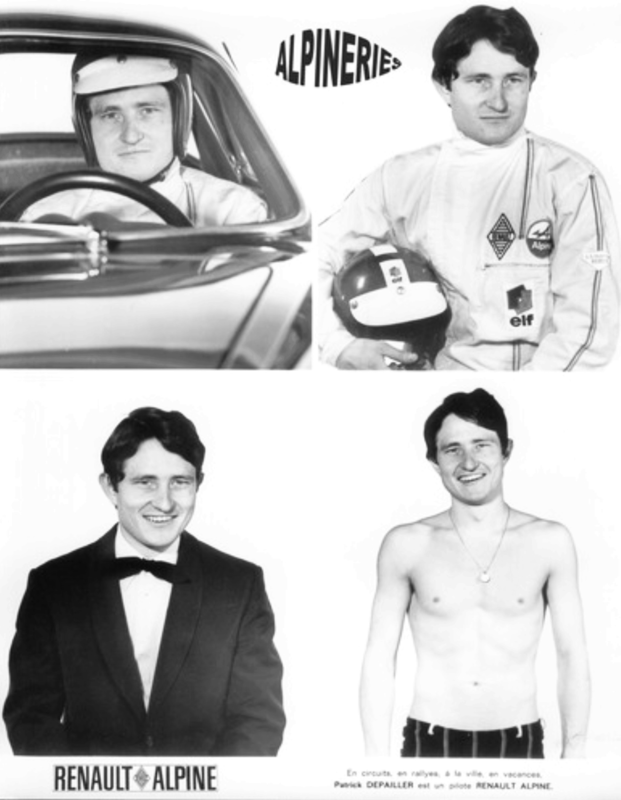 An article about his F1 career is for another time. 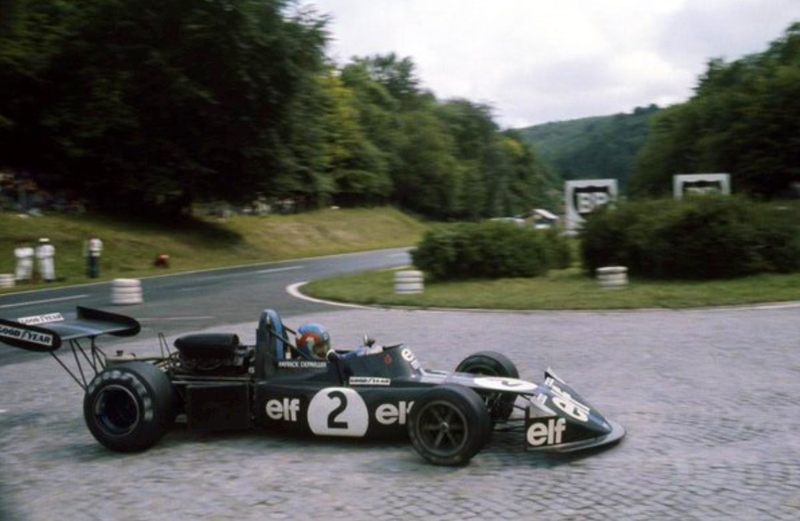 As well as a full season of Grand Prix racing he scored one of the two prized works March F2 seats in 1974 having finished third in 1973 in an Elf 2/Alpine A367 Hart. He and Hans Stuck in the other works March 742 BMW slugged it out all year with Hans taking the first two wins of the season and Patrick the better results from then on winning at Pau, Mugello, Karlskoga, Hockemheim, Vallelunga and with it the title. 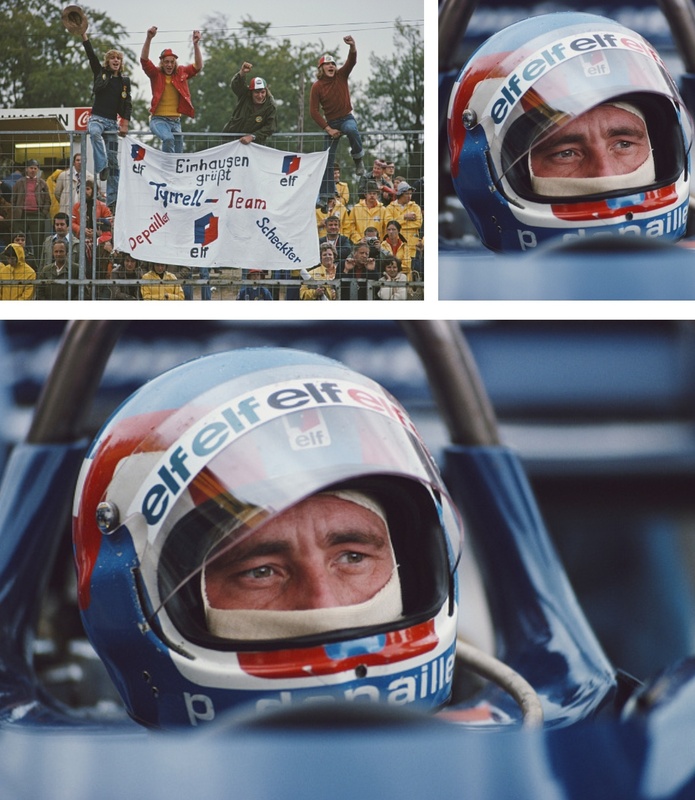 Patrick Depailler was a personal favourite of the era; he was one of those guys who loved racing for its own sake, raced for the love of it, if championships came along then well and good but it was all about being a professional driver, racing and enjoying life with all of its elements. 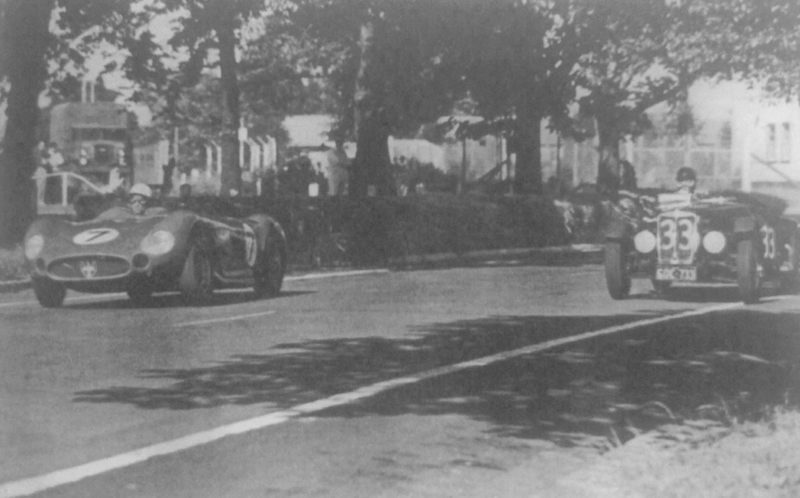 Only one of these cars was built for Le Mans 1938; the car driven by Clemente Biondetti and Raymond Somner had the most commanding lead at La Sarthe ever, 11 laps/1 hour or 100 miles depending upon your way of expressing it. 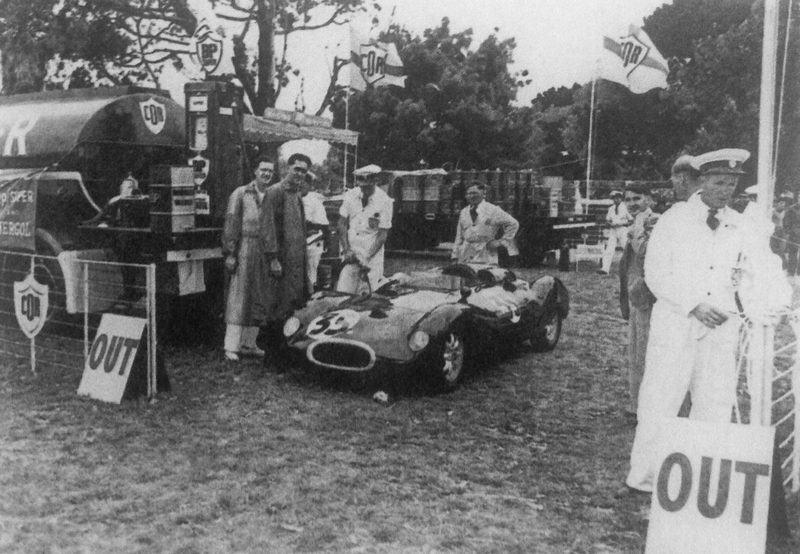 A succession of mechanical maladies cost victory; a tyre blew on the Mulsanne, Sommner bringing the car to a halt but the tyre destroyed the mudguard. 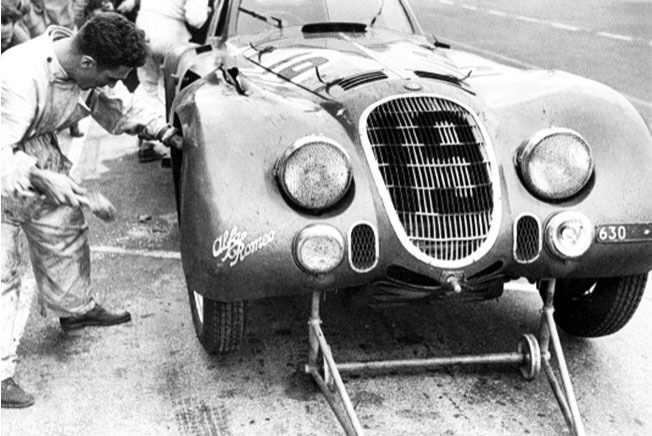 Biondetti went back out but the car retired shortly thereafter with either valve or gearbox failure. 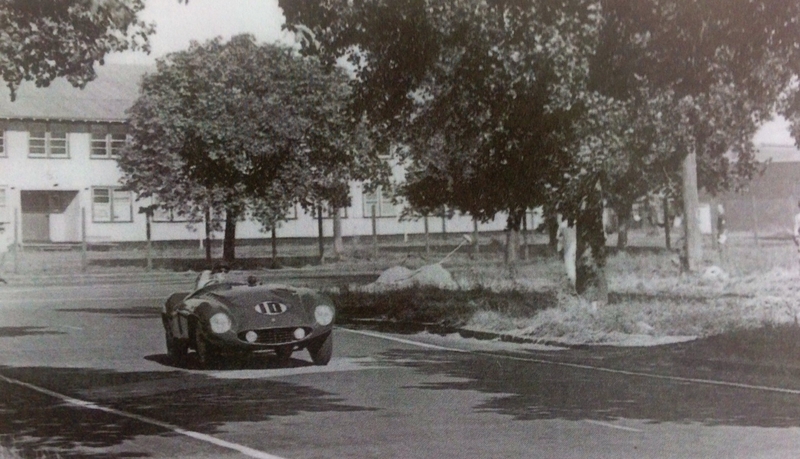 The race was won by the Eugene Chaboud/Jean Tremoulet Delahaye 135CS from the similar car of Gaston Serraud and Yves Giraud-Cabantous with Jean Prenant and Andre Morel in a Talbot T150SS Coupe. 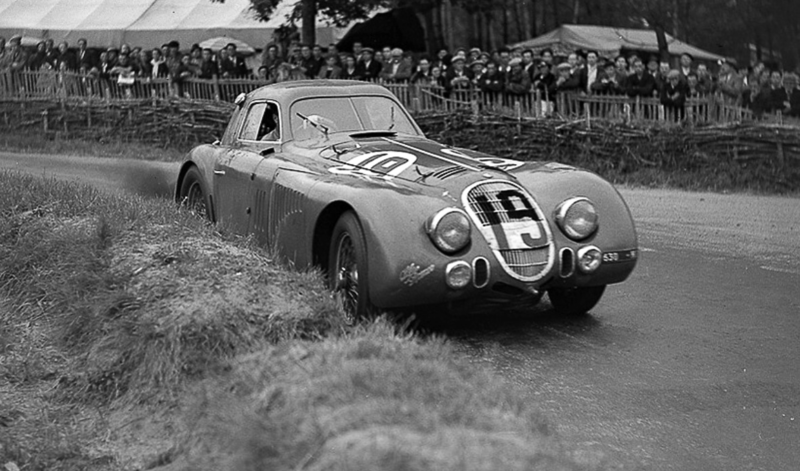 The Alfa 8C 2900B completed 219 laps, more than the 4th placed car. 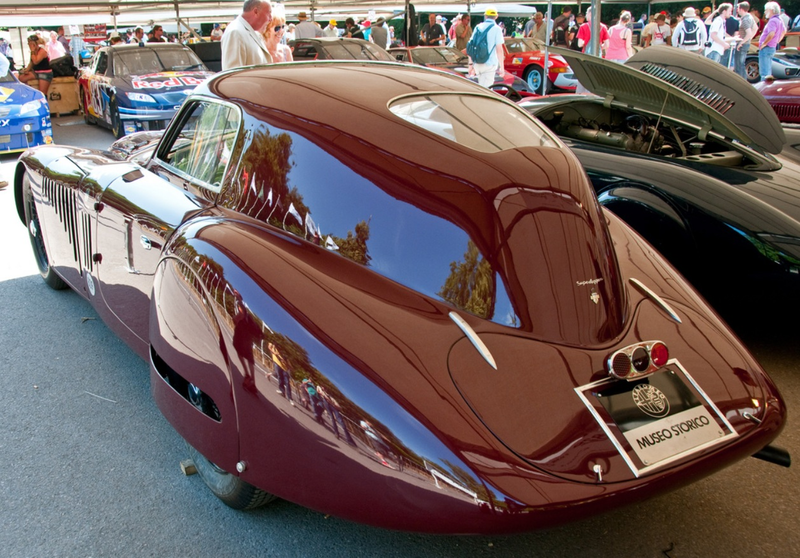 Five 8C 2900B chassis were modified for racing early in 1938, and whilst offered for customer sale the cars were road going versions of Alfa’s GP cars, very much in the best tradition of the Monza Series of cars. 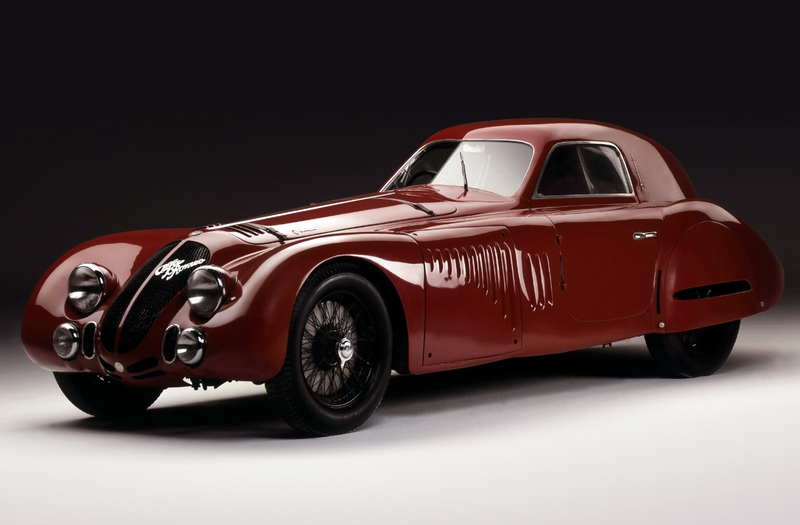 The cars were nearly identical to the 8C 2900A’s which won Le Mans in 1936 and 1937. 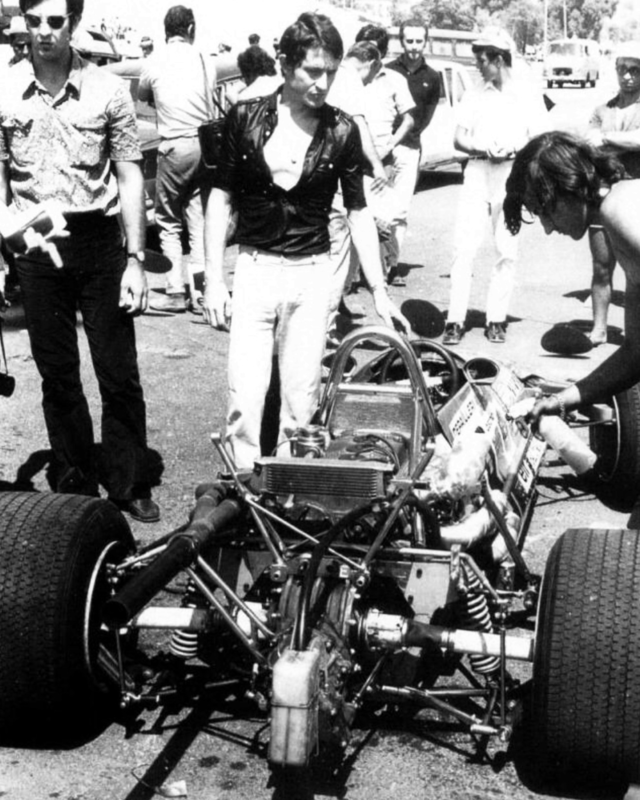 Unlike the earlier Monza’s the cars gearbox was in unit with its differential shifting weight to the rear. 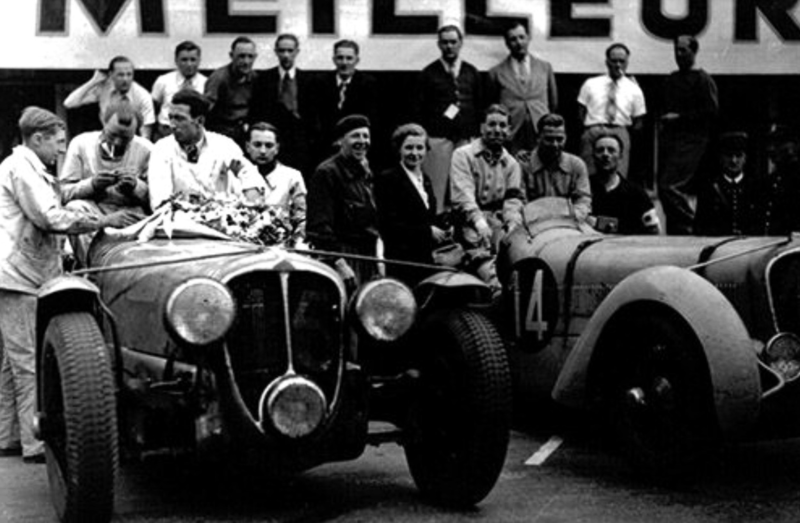 Bodies of all five cars were built by Touring with open bodies for the Mille Miglia for which four cars were entered, the Alfas finishing 1-3 with Biondetti and Ado Stefani crewing the winning car from the Pintacuda/Mambelli and 8C 2300A of Dusio/Boninsegni. 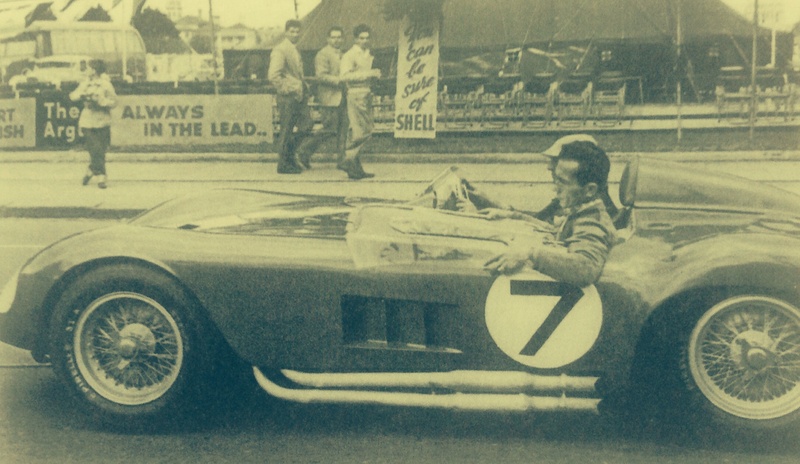 The Le Mans car, chassis #412033 had its Spider body removed to be replaced by a futuristic, slippery coupe designed by Touring’s Carlo Anderloni. 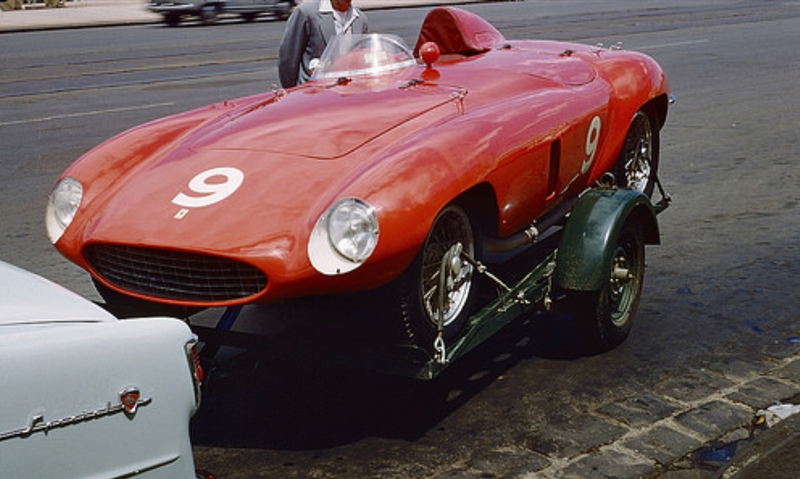 The panels aft of the front wheels could be removed to allow access to Vittorio Jano’s mechanical marvels. Chassis of light gauge box section steel. Front suspension; trailing arms coil spring/tubular shocks. 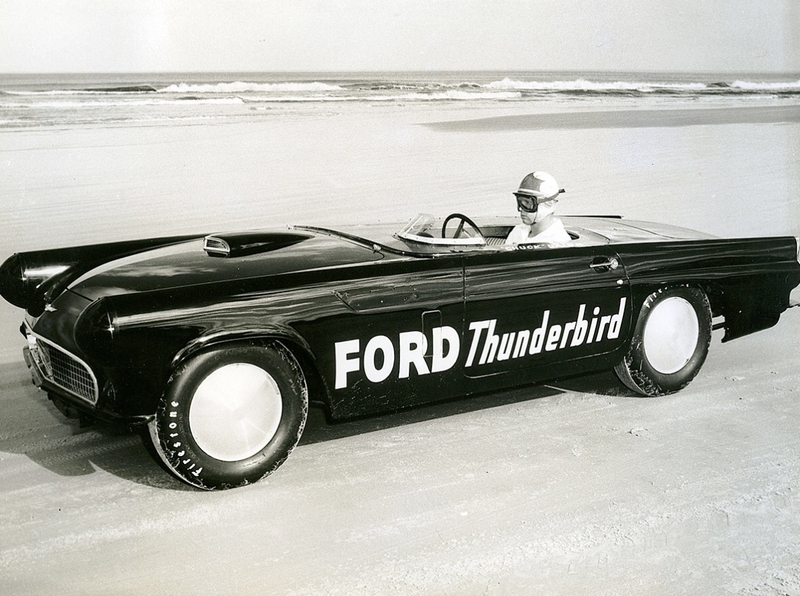 Rear suspension; swing axles located by radius rods, semi-elliptic leaf springs and tubular shocks. Steering, worm and sector. Brakes drums all round. Weight circa 1100Kg. Engine; DOHC, 2 valve, all alloy straight-8 of 2905cc, bore/stroke 68mm/100mm. Two Roots type superchargers fed by two Weber carbs giving circa 220bhp@5800rpm.